If surgery is recommended to remove breast cancer, patients can take comfort in the fact that Watauga Medical Center is one of only a few hospitals in North Carolina to offer Hidden Scar® Breast Cancer Surgery. Both Dr. Anne-Corinne Beaver and Dr. Paul Dagher of Watauga Surgical Group have been recognized as Hidden Scar® Trained Surgeons for Hidden Scar® Breast Cancer Surgery. Breast cancer can be surgically removed with a mastectomy procedure (your surgeon will remove all of your breast tissue) or a lumpectomy procedure (your surgeon will remove only part of your breast tissue). With a Hidden Scar procedure, your surgeon will place the incision in a location that is hard to see, so that the scar is not visible when your incision heals. As a result, you have little to no visible reminder of the surgery or your cancer. Patients who undergo this approach experience optimal clinical and cosmetic outcomes, and are at no higher risk of recurrence than patients who undergo any other surgical technique.1 You may qualify for Hidden Scar Breast Cancer Surgery based on the size and location of your tumor, your breast shape, and your breast size. Ask us if you are a candidate for a Hidden Scar Breast Cancer Surgery by calling Watauga Surgical Group at(828) 264-2340 to schedule a consultation. Want more information on Hidden Scar Breast Cancer Surgery? 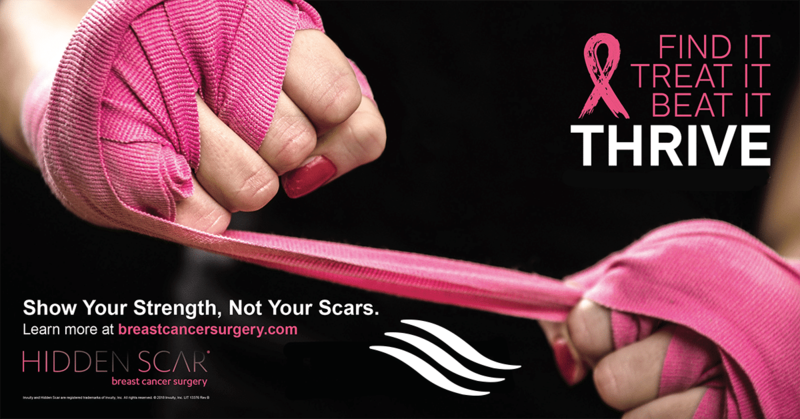 Visit breastcancersurgery.com to learn more.